2. 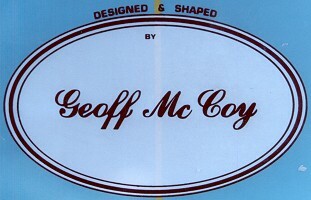 White/black Geoff McCoy Designs script at sweet spot. See right. 4. 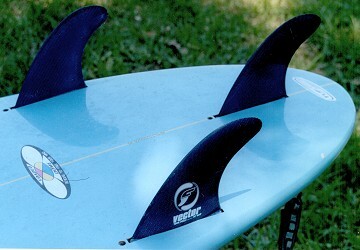 Four colour/black oval Loaded Dome/Designs to Free Your Mind, forward of fins.